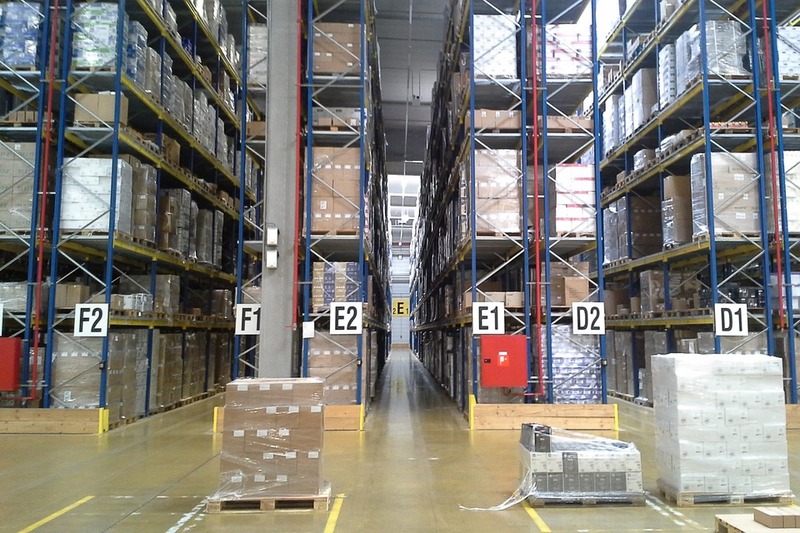 Rapidly expanding production capabilities for its shelving components. Reengineering the roll form tooling used to build each part. Reducing labor costs for each warehouse automation system installation. Designing a fastening tab that could be produced in-line and cut labor costs in half. The warehouse automation company’s average system takes about 500,000 parts to complete, and the company had a ten-week tooling requirement before launching the production process. With more than 90 years of experience providing customized metal solutions, leading roll form engineering resources and four roll forming locations, Hynes Industries was up for the challenge. The automation company’s growth was too rapid to keep up with current production capacity. It came to Hynes with expedited (10-week) tooling development and program launch needs. It was aiming to halve installation labor costs. The company was looking for a modified fastening tab design for the next generation system. The automation company’s original design was a simple press braked part, but when volumes were too high to keep costs in line, the company decided to explore roll forming, which is better suited for high volume runs. This particular automation system was created for a big-box store with more than 1 million square feet of warehouse to fill. The automation company needed to expedite the process, requesting a ten-week delivery on roll form tooling for a typical 12- to 14-week project. Hynes was able to turn the quote around in less than two days. Hynes immediately performed an internal program design review, which included an assessment of manufacturability, scope, timeline, deliverables, fit for core competencies and profitability, to deliver a quote within 48 hours. Once complete, Hynes conducted a comprehensive commercial review process with the automation company to walk through the initial designs and flag design elements and specifications that were ill-suited for roll forming. Ultimately, the company decided Hynes was the right choice for the tooling project and ongoing roll forming partnership for new system orders, based on the following factors. Throughout the design process, Hynes educated the warehouse automation team on design for roll forming, from tolerance radius, to raw material science, to the type of steel to utilize for optimal value. Hynes engineers worked closely with the automation company to reduce process complexity and optimize design for cost savings. One big win for cost reduction came down to reengineering a fastening tab. Hynes evaluated a complex fastening tab design that the automation company needed to be produced in-line. Other roll formers had advised that this particular design could not be produced. However, Hynes engineers were able to provide a solution and prototype. Once finalized, the design was eventually hard-tooled and implemented across all new systems, which eliminated the need for additional bolts and rivets and reduced installation labor. Hynes’ four locations across the U.S. (in Ohio, Indiana and Nevada) allowed for the additional resources and mill time this quick turnaround needed. By pooling available resources and organizing efforts across each state, delivery was on time and on budget. Additionally, the warehouse automation company’s project was located on the west coast. This made Hynes’ Nevada facility an ideal fit to house and utilize the finished tooling for each new system order, and reduce freight costs. Once the project was initiated, Hynes immediately pulled in every available resource from across the country to organize the tooling process and deliver within the ten-week timeframe. “We knew Hynes had what we needed in a partner: Engineering and tooling capabilities, expansive production capacity, and an ability to rapidly deploy its team in a cross-country project. We came in with high expectations, and Hynes delivered on every front." Thanks to quick thinking, a collaborative process and in-house capabilities, the partnership yielded a next-gen design on time and on budget. In addition, the rapid tool-up and available lines make Hynes the go-to partner for future mega-warehouse automation systems. Hynes offers the latest metal fabrication and production technology available, complemented by in-house engineering expertise and supply chain services for an end-to-end solution. To yield the full benefits of the roll forming process, you need an expert partner to guide you through the product development cycle and to push the boundaries of engineering possibilities. If you have a product that you would like to review for potential cost savings, contact Hynes to get started. Hynes offers custom roll formed steel and standard roll formed steel shapes, slit coil and strip steel products, specialty wire and flat wire shapes as well as our proprietary slotted angle, FlexAngle. All American made – with all-American steel. Hynes is a recognized industry leader with metal processing knowledge, craftsmanship, engineering talent, responsiveness and reliability that is second to none. In 2015, Hynes Industries acquired American Roll Form Products (ARF), a full-service, custom metal fabricator, announced its acquisition by Hynes Industries. As a result of the acquisition, Hynes Industries gained manufacturing operations in Painesville, Ohio and Las Vegas, Nevada, to join our Youngstown, Ohio, and Kokomo, Indiana locations. Hynes has evolved from a dedicated roll forming operation into offering a full range of metal fabrication processes, engineering consulting services, inventory management, assembly and shipping.